Most airline pilots start out as first officer (co-pilot) with a regional carrier; initially they earn about $15,000 to $20,000 a year. And when they join a major airline, their first position may not be as a pilot, but as a flight engineer. Considerable training is necessary for any type of pilot job, and most airline pilots have to "pay their dues" by first gaining a good deal of experience either in the military or in other types of civilian piloting. In addition to airline pilot, pilot jobs include flight instructor, corporate pilot, charter pilot, test pilot, and agricultural pilot. Many people enjoy these kinds of flying - each with its own set of challenges and rewards - and wouldn't think of trading their jobs for that of airline pilot. While the various kinds of piloting jobs involve a variety of special circumstances, there are also a number of conditions that are common to all pilots. All pilots flying for hire have progressed through a flight training program and have earned a commercial pilot's license or an airline transport rating. Most likely they will also have one or more advanced ratings such as instrument, multi-engine or aircraft type ratings depending upon the requirements of their particular flying jobs. A pilot's "office" is the cockpit which contains all controls, instruments, and electronic communication and navigation equipment necessary to operate the aircraft. Some noise and vibration are noticeable, particularly in propeller aircraft. They have a concern for safety including the safe condition or airworthiness of the plane; weather factors affecting the safety of the flight; flight regulations; air traffic control procedures, and air navigational aids designed to provide maximum safety in the air. Pilots also have a dual responsibility. They must not only satisfy their employer, who might be an air taxi or an airline operator, but they must also demonstrate to the Federal Aviation Administration (FAA) that their flying skills, knowledge and state of health are at all times acceptable for the particular flying jobs they perform. They must undergo frequent physical examinations and meet certain medical standards which vary according to the license which the pilot holds. A Class I Medical Certificate requires the highest standards for vision, hearing, equilibrium, and general physical condition. The pilot must have an exceptionally good health history with no evidence of organic and nervous diseases or mental disorders. A Class II Medical Certificate is less rigid, but still requires a high degree of physical health and an excellent medical history. A Class III Medical Certificate has the least stringent physical requirements. All three classes of medical certificates allow the pilot to wear glasses provided the correction is within the prescribed limits of vision. Drug addiction and/or chronic alcoholism disqualify any applicant. The greater the number of flying hours and the more complex the flying skills, the more varied are the opportunities for advancement as a pilot. There are many chances to transfer from one kind of pilot job to another as flying hours are accumulated and additional skills are mastered. Frequently pilots double as flight instructors and air taxi pilots, or they may also operate an aircraft repair station with flight instruction and air taxi operations as sidelines. 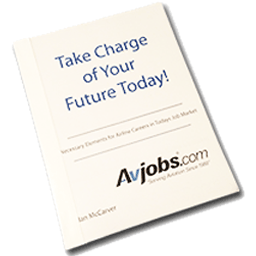 Many good aviation and airline flight crew jobs qualify pilots for jobs with governmental agencies, such as the Federal Aviation Administration (FAA). The Airline Pilot plans each flight with the airline's flight dispatcher and meteorologist, checking weight, fuel supply, alternate destination, weather and route. The pilot also briefs the crew, checks out takeoff procedures, ascertains that the plane is operating normally before takeoff, gets takeoff clearance from the air traffic control tower, flies the plane over the designated route, lands the plane, and at the final destination files a trip report. During the time the airline pilot is aboard the aircraft, he or she supervises the work of the crew, gives instructions, and makes all decisions. The Captain is in command of the plane and is responsible for the safety of the aircraft, its passengers, crew and cargo. The aircraft flown may range from a twin-engine DC-3 on a 100-mile hop to a four-engine Boeing 747 jet crossing the ocean. By law, an airline pilot may not fly more than 85 hours a month or 1,000 hours a year. However, the average pilot works more than 100 hours a month counting ground duties such as filing flight plans, working on reports, briefing crews and attending training classes. The airline pilot spends most of the working day in the cockpit with additional time in the airline dispatcher's office and in training classrooms. Work schedules average sixteen days a month and usually provide for consecutive days off. Schedules for pilots employed by transcontinental and international airlines require pilots to spend some nights away from home. In these cases, hotel, transportation and meal expenses are paid by the airline. A flight requires considerable pilot concentration during takeoff and landing maneuvers. Automatic piloting devices free the pilot for other cockpit duties and lessen the strain of the job during cruising flight. The airline pilot is required to wear a uniform while on duty. Night flights are often required, especially for air cargo operations. The average major airline pilot earns approximately $70,000 per year while regional airline/commuter pilots average $20,000 per year as do some charter and air taxi pilots. Helicopter pilots who fly to off shore oil rigs average salaries of $30,000 per year. These salaries vary significantly based upon the individual's age, education, work experience and flying background. Scheduled airline flight crews are based at major terminals on their respective airline routes. These bases are found mainly in New York, Chicago, Los Angeles, San Francisco, Seattle, Detroit, Newark, Atlanta, Miami, Washington, DC, Denver, Dallas and Cleveland. Flight crew job opportunities are also available with all cargo airlines and with non-scheduled and supplemental airlines that provide charter service. Promotion is regulated by seniority. When hired as a second officer, or co-pilot, the person is assigned the bottom position within the airline. As the second officer, co-pilots and pilots advance to larger aircraft, retire, resign or are removed from the list for other reasons, the newly hired pilot moves upward. All through the career with the airline, the earnings, route assignments and vacation time preferences are governed by seniority. Second officers or flight engineers may advance to co-pilot position within a year, but it usually takes from seven to twelve years to become a pilot or captain, depending on the size of the airline and rank on the seniority list. By law, pilots must retire when reaching age 60, but flight engineers can fly until the age of 65. All through the pilot's career he or she must lay the job on the line every six months at the time of a rigid physical exam. If unable to pass the physical, the pilot must stop flying. The outlook for career opportunities for pilots and flight engineers with the airlines is directly related to airline growth. Airline growth is usually measured by an increase in traffic; i.e., an increase in passenger-miles and an increase in ton-miles of freight. This growth, of course, is directly related to the health of the national economy. Considerable training is necessary for any type of pilot job, and most airline pilots have to "pay their dues" by first gaining a good deal of experience either in the military or in other types of civilian piloting. It is true many major carriers do not request a resume, and during the interview process, the interviewer will refer primarily to you company application. However, a concise, error-free resume will add a professional, organized touch to your "paperwork" presentation. A resume also comes in handy if there is special information you want the interviewer to know but can find no appropriate place on the company application to list these important facts. Writing your own resume and completing company applications can be relatively "pain free" if you spend the time to collect all the information you need BEFORE beginning the writing process. This information has been provided to help you in composing both your resume and specific company applications. Sections Include: Points To Remember, Resume & Application Information/Resume Writing Examples, Resume Layout Example. Do not put the word "resume" on your resume. Leave no blank spaces. If a question is not applicable to you write "N/A"
Compile this information before filling out any applications or writing your resume. Check off each item after completion. Availability: Immediate, two weeks notice preferred.